Picture perfect old cities and towns mixed with modern touches, Portugal is sure to wow you with something spectacular, no matter what you are looking to explore. Without a doubt, top of the list is its capital. There is so much more to Lisbon than you think! Talk about a vibrant city, with great food and wine, diverse music, amazing hilltop views of the town and Tagus River. You name it because most likely you’ll be able to find it! An unexpected possibility: Street Art! As in other countries, for years graffiti was associated with vandalism, in Portugal, slowly but surely, it has literally been able to conquer space as well as a ton of admirers. Nowadays, urban art is seen by local authorities as a valuable contribution and galleries open their doors to artists. Today hundreds of walls and facades painted by national and international artists highlight Portugal on the World map of Street Art. There is no way that in the 90’s we would’ve imagined huge building facades covered in graffiti. In those days graffiters were just trying to get there name out there by illegally tagging it anywhere and everywhere. Soon they started taking over vacant walls or buildings with multifaceted themes such as pop culture or the country’s rich history. 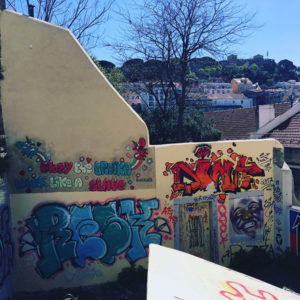 Times definitely have changed and now there are actually Tours of Lisbon’s Best Street Art! In 2008 the Town Hall of Lisbon decided to support Street Art by creating an Urban Art Gallery known as GAU. 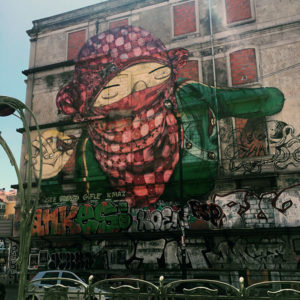 Its main mission the promotion of graffiti and street art in Lisbon, within an authorized framework and according to the perspective of respect for heritage and landscape values, as opposed to illegal acts of vandalism that attack the City. Spots like Avenida Fontes Pereira de Melo, Amoreiras “Wall of Fame”, Mouraria’s “Escadinhas de São Cristóvão” dedicated to Fado, Alcântara’s wall of the “Carnation Revolution – 25 de Abril”, LX Factory’s creative complex with several works or Bairro Alto’s colorful graffiti are all amazing examples. All over the city, it’s easy to stumble upon an unpredictable piece of art, either by Portuguese graffitters like Odeith, ARM Collective, Tamara Alves, Violant, Miguel Januário, Nomen, Paulo Arraiano, to name a few. On the outskirts of Lisbon, both Loures and Almada have amazing pieces, supported by City Hall. But not all artists limit their pieces exclusively to spray cans. 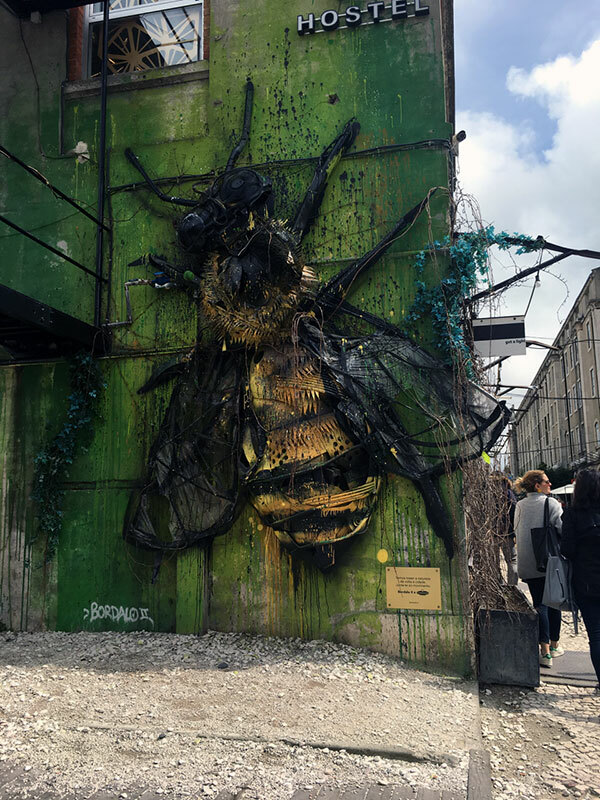 Combining recycling, sculpting, painting, welding and graffitiing Artur Bordal aka Bordalo II uses an old car or computer parts, tires, buoys or fishing nets and any waste he can get his hands on to create three-dimensional animals. It’s not only about ecology or sustainability, it’s about sending out a message to society. Another innovative artist and currently one of the biggest names of the street art world is Alexandre Manuel Dias Farto aka Vhils, whose artwork is the product of drilling and carving faces on facades. There is one exception to his specialty: a beautiful Portuguese traditional cobblestone pavement that pays tribute to Fado royalty Amália Rodrigues, on Calçada do Menino de Deus. Founded in 2013, managed by Vhils and French gallerist Pauline Foessel Underdogs is the country’s 1st gallery dedicated to urban art. Underdogs sales flow occurs both in Portugal and abroad. There are clients from France, United States, Brazil and UK. Revenue depends a lot on the artist and the exhibition. Pieces range from 500 to 15 thousand or 30 thousand euros. Since 2008 the Municipality of Lisbon has spent an average of 30 000 euros a year on Urban Art. 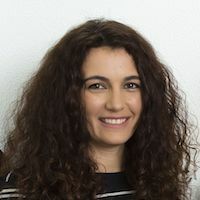 Social Media and the Internet have brought national and international notoriety and built up artist reputation as professionals. Street Art is turning Lisbon into an open-air gallery, adding to all its wonderful cultural aspects. Bringing new life and color to a city you just can’t miss!